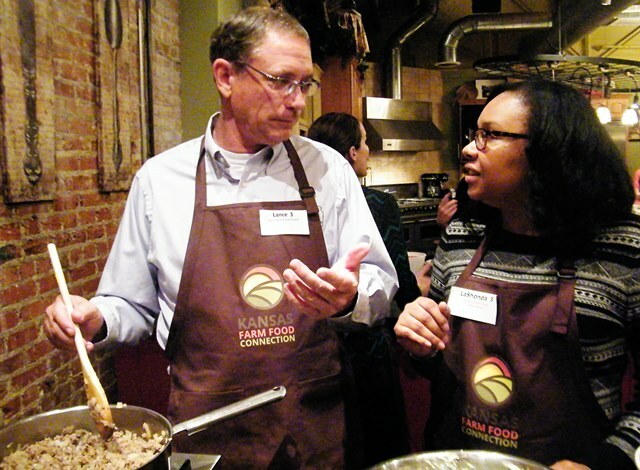 Lance Rezac, Onaga farmer, talks with La’Shonda Woodard, blogger at www.fashionplatekc.com, while they prepare a meal together. The topic of genetically modified organisms (GMOs) was one topic of discussion. 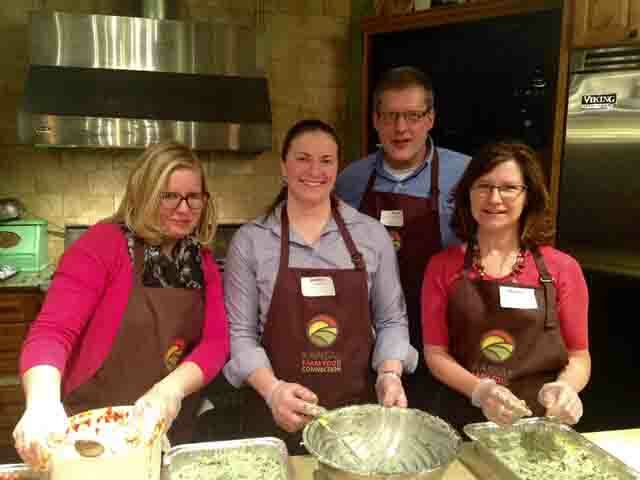 Members of the Kansas Farm Food Connection (KFFC) gathered with dietitians and food bloggers at the Culinary Center of Overland Park, Kan., March 5 for an evening of good food and conversation. KFFC hosted this “Meet the Makers” event to encourage an exchange of ideas between farmers and consumers. Farmers at the event grow soybeans, sorghum and corn, and raise beef or dairy cattle on family farms. At the event, farmers and their guests worked together to prepare home-cooked meals for Ronald McDonald Charities of Kansas City, which serves 87 families a night. 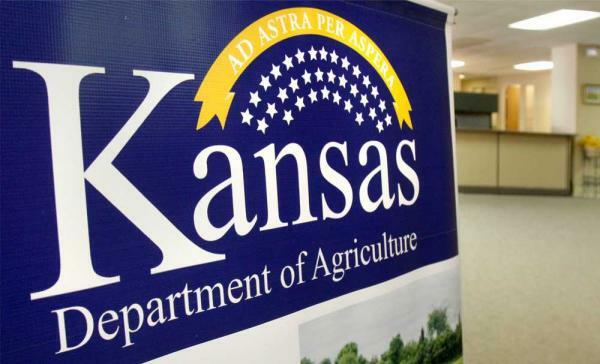 The mission of Kansas Farm Food Connection is to share the exciting story of Kansas agriculture by connecting farms to families and families to farms to learn, eat and grow together. To learn more, visit http://www.raisingkansas.com or Facebook. Bloggers, dieticians, and farmers prepared and enjoyed a meal together while sharing about their lives and discussing today’s current farming practices. The group prepared and provided 300 meals to the Ronald McDonald Charities of Kansas City.